This album is a collection of songs written and recorded in wake of the 2016 Presidential election. With a progressive outlook, and an unhealthy dose of dark humor, these tunes traverse a wide landscape of musical genres, including blues, swing, klezmer, bossa nova, reggae, and more. 12 original instrumental compositions by Seth, in a variety of musical genres, including swing, gypsy jazz, and klezmer. This album features both original compositions and creative reimaginings of many classic children's favorites such as "Twinkle, Twinkle Little Star," "Down By The Bay," "Row, Row, Row Your Boat" and more. While this is nominally a "jazz" record, it covers a wide stylistic breadth, including blues, boogie-woogie, rock, and yes, even a little klezmer. Seth Kibel is one of the Mid-Atlantic's premier woodwind specialists, working with some of the best bands in jazz, swing, and more. Wowing audiences on saxophone, clarinet, and flute, Seth has made a name for himself in the Washington/Baltimore region, and beyond. He is the featured performer with The Alexandria Kleztet, Bay Jazz Project, Music Pilgrim Trio, The Natty Beaux, and more. Winner of 25 Washington Area Music Awards (Wammies), including "Best World Music Instrumentalist" (2003-11) and "Best Jazz Instrumentalist" (2005, 2007-8, 2011-13). All arrangements by Seth Kibel. Tracks 5, 6, 7, 9 copyright 2014 Seth Kibel (Willard’s Melodies, ASCAP). Produced by Seth Kibel, with Jeff Gruber. This is a "straight-ahead" jazz record, featuring a few originals, as well as energetic renditions of jazz classics by George Gershwin, Irving Berlin, and more. Featured are the talents of Bay Jazz Project: Sean Lane, Bob Abbott, Mark Lucas, Justine Miller, and Wes Crawford. The Alexandria Kleztet's brand-new recording featuring six original compositions, fresh arrangements of traditional melodies and creative re-workings of songs by Kurt Weill and John Williams. 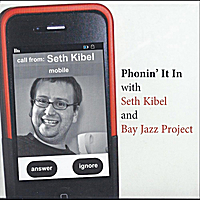 On his first solo album, The Great Pretender, tenor saxophonist Seth Kibel brings his raucous, blues-drenched sound to 10 songs with support from some of the most skilled artists in the Mid-Atlantic and beyond. Adding their talents to two of Seth’s original tunes and eight of his creative arrangements are European blues star Eugene “Hideaway” Bridges, boogie-woogie pianist Daryl Davis, blues diva Melanie Mason, D.C. guitar legend Dave Chappell, keyboardist Jon Carroll, and others. The covers include dramatic re-interpretations of songs by Bob Dylan, Tom Waits, Duke Ellington and The Kinks. Winner of the 2007 Washington Area Music Award (Wammie) for "Best Blues Recording." 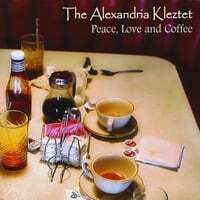 The Alexandria Kleztet's third album, released in 2005. Winner of the Washington Area Music Award (Wammie) for "Best World Music Recording." The Alexandria Kleztet's second album, released in 2002. Winner of the 2002 Washington Area Music Award (Wammie) for "Best World Music Recording." The Alexandria Kleztet's debut album, from 1999. Winner of the 2000 Washington Area Music Award (Wammie) for "Best World Music Recording." 2004 album with jazz violinist Susan Jones, featuring original acoustic jazz, including six Kibel compositions.